TIFR recruitment 2018 notification has been released on official website www.tifr.res.in for the recruitment of 03 (three) vacancies for Project Scientific Officer. Job seekers should apply on or before 21st January 2018. Here on this page you will get the details like the Name of vacancies released by TIFR with exact number of posts. 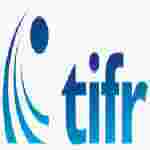 Some other criteria like Education details, application fee and way to apply application for TIFR recruitment 2018. Educational Qualification: B.E./B.Tech in Computer Science/Information Technology from a recognized university with minimum 60% aggregate. Interested and eligible aspirants may apply online through the website www.tifr.res.in & hard copy send to Head, Establishment, Tata Institute of Fundamental Research, Homi Bhabha Road, Navy Nagar, Colaba, Mumbai 400 005 on or before 21.01.2018.